NAIROBI, Kenya, 3rd December 2018 -/African Media Agency (AMA)/- According to experts, the African population is expected to double by 2050, which means that food demand on the continent is expected to at least double by then. Beyond feeding the population, the social and economic benefits induced by the increase in production and productivity in Africa are obvious. This increase in production would create jobs in agriculture but also in upstream, downstream and support activities; would help to eradicate hunger; would improve the economic situation of populations and would offer farmers new opportunities in international markets. This means that self-sufficiency is achievable, and that Africa could be a net exporter of food products instead of its current status as an importer. However, the agricultural transformation models implemented in the rest of the world are not transposable as they stand. The African agricultural sector is unique in that it is largely dominated by millions of small family farmers, who cultivate small areas with poor farming techniques. They have limited access to inputs, financial services or technology and mainly practice subsistence agriculture because of their difficulties in accessing the market. These small family farmers are one of three groups that make up the African agricultural sector: the other two are large African and multinational agri-food companies that operate on a large scale on the continent and internationally; and small and medium-sized enterprises that process, transport, refine food or operate farms under conditions similar to those in industrialized countries. According to the Food and Agriculture Organization of the United Nations (FAO), the 250 million African smallholder farmers produce 80% of the food consumed in Africa. These small farmers are therefore essential to Africa’s food security, economic and social development: in fact, even if all large and small and medium-sized enterprises operating on the continent completed their transformation, this would only affect a maximum of 20% of the African agricultural sector. Today, the transformation of the smallholder farming sector is hampered by the lack of access to information, best agricultural practices, inputs (fertilizers, seeds, pesticides), mechanization, market opportunities and financial services. On average, the smallholder farmer cultivates a plot of land of less than 2 ha and earns less than $1,000 per year, an income that provides a living for the entire family who must contribute to agricultural work. The transformation of this sector therefore requires a concerted – and specifically African – approach because of the uniqueness of its model and its challenges. The transformation of the sector and the increase in production must be inclusive. This means that the transformation of African agriculture cannot follow the same path as that followed by European or North American agriculture. Indeed, there will be no massive rural exodus to industrial jobs. The 250 million farmers represent 250 million families who earn a living and will have to continue to earn a living through agriculture. As the population increases, the number of farmers will continue to increase accordingly. The role of the private sector is crucial in the transformation of African agriculture. Agri-food companies have massive purchasing power, while smallholder farmers are looking for ways to improve productivity and quality as well as increase their production and income. When farmers are integrated into global value chains, both sides benefit: farmers improve their incomes by having easier access to markets and private companies have access to the raw materials needed to produce their goods. However, integration remains a challenge. Sellers and buyers lack data on small family farmers and their cooperatives or other groups with whom they would like to work. There is too little data on crop types, production areas and harvest prospects. This complicates planning while often leaving smallholder farmers without the necessary advice and support to improve their production and income potential. It also complicates the implementation by small farmers of the quality and food safety standards necessary for food businesses. Banks have strict risk management requirements that complicate the provision of financing to small family farmers: without precise knowledge of their farms, harvests and incomes, the risk of granting loans is simply too high and the interest rates on loans granted by banks or microfinance institutions vary between 20 and 40%, which limits their scope. The same phenomenon can be observed in the insurance sector. Most of these challenges can be solved by connecting the different actors in the agricultural value chain through digital marketplaces that manage the supply from smallholder farmers, manage the stocks and manage the commercialization of agricultural products and their transport. The viability of these marketplaces can be guaranteed if they are operated by private companies and financed by fees levied on the commercial transactions they allow. Indeed, other models based on philanthropy or national or international public funding have shown their limits. This private model does not exclude state control and regulation to avoid the creation of monopolies. The aggregation of farmers into formal groups and cooperatives is also necessary. This will make it easier to work with them for sellers and buyers, but also to train and support them, for example in traceability and certification processes that are generally mandatory for food manufacturers. 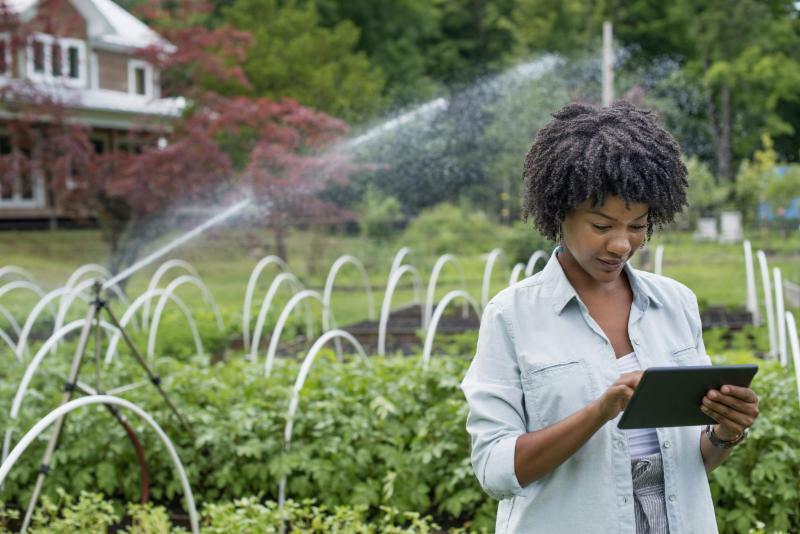 Through these digital marketplaces, banks and insurance companies will have access to the data necessary to reduce their risks and thus be able to serve the untapped market of smallholder farmers. Based on the data, input suppliers will also be able to sell directly to farmers or cooperatives. For example, fertilizer companies could significantly increase their incomes by working directly with cooperatives and smallholder farmers. On average, smallholder farmers use only 15 kg of fertilizer per hectare in Africa: significantly less than the global average of 120 kg/ha and the African Union recommendation of 50 kg/ha. Part of the problem is that smallholder farmers often do not have direct access to fertilizer companies but go through intermediaries who subtract a large part of the value by significantly increasing prices. The double consequence is that small farmers do not have access to the quantities of fertilizer they would need, and producers’ sales are limited by the profits of intermediaries. Buyers of agri-food products will be able to buy more easily from small farmers through their organizations, knowing that the quantity and quality promised by contract will be delivered and that they will have the means to monitor the progress of crops and agricultural operations. Finally, through better stock management, storage conditions and adjustment of supply to demand, these digital marketplaces will also help to reduce food waste and loss, which, according to FAO estimates, currently represents 20% for cereals and up to 50% for fruit and vegetables in total food production on the continent. 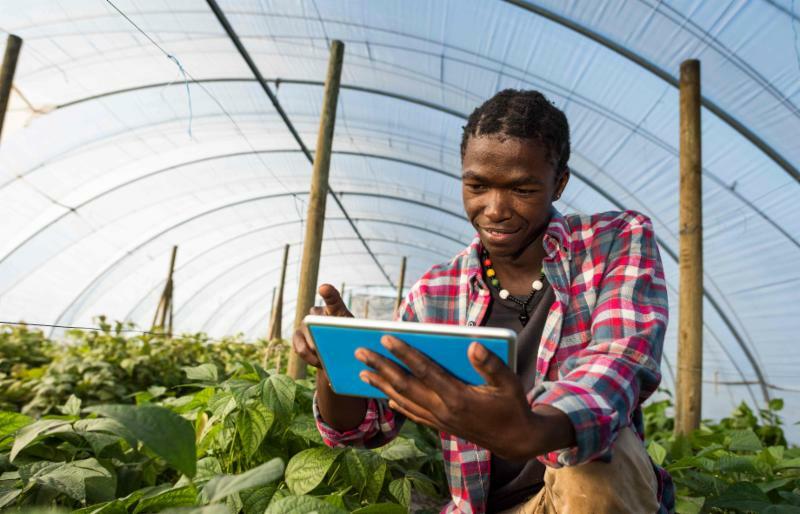 In recent years, SAP has worked with several smallholder farmer organizations and agribusinesses in Africa to develop and test a dedicated solution to connect smallholder farmers to agricultural value chains. 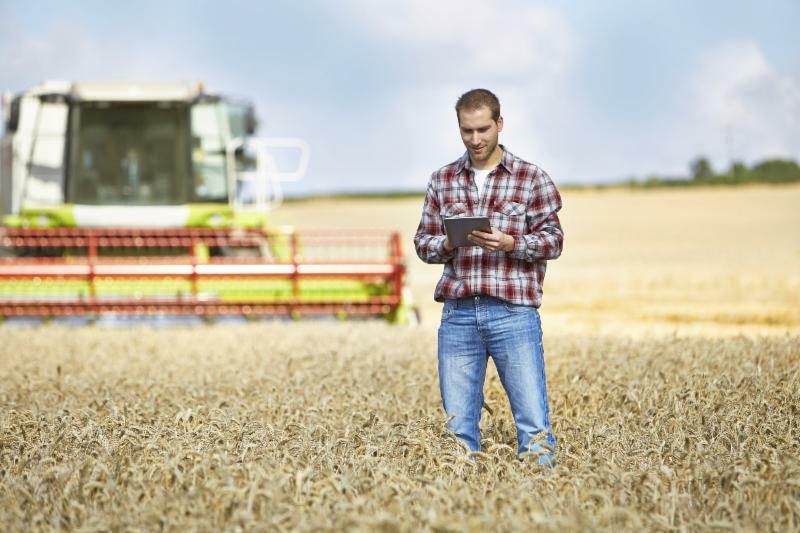 This solution is called SAP Rural Sourcing Management, and it is designed to capture, maintain and share individual data of smallholder farmers such as crop types, geographical location of fields, farm size, harvest prospects, farmers’ production sales transactions, and more. It also connects smallholder farmers to information providers (training in best agricultural practices, weather data, market data, etc.) and facilitates access for smallholder farmers to various stakeholders in the broader agricultural value chain, including financial services, buyers and suppliers of inputs (fertilizers, seeds, pesticides and agricultural equipment). For governments, access to some of this data is also very important. It enables more effective and efficient public policy and intervention decision-making to ensure, for example, food security and safety, crop diversification and farmer financing at the local, regional and national levels. 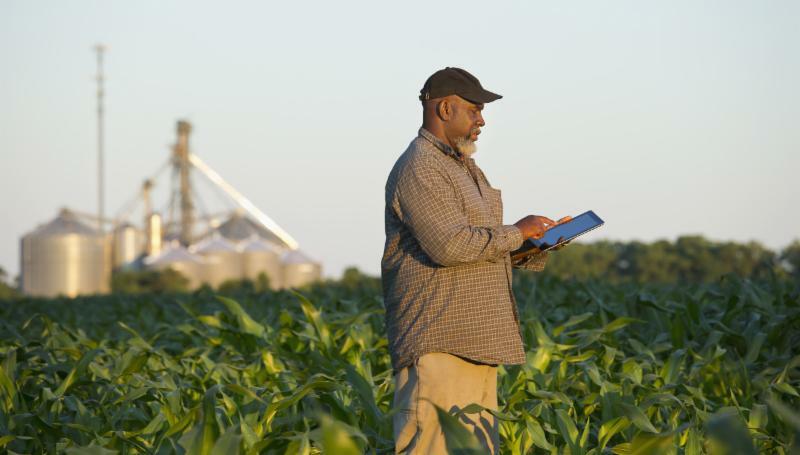 SAP Rural Sourcing Management, sometimes in combination with other SAP commodity trading solutions, is currently being evaluated and implemented in several African countries as part of public-private producers partnerships managed and financed by private companies. 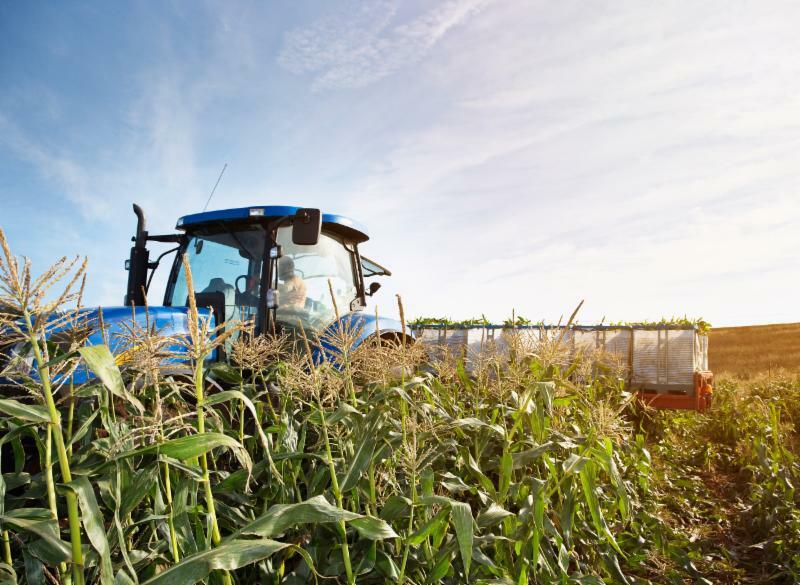 The most recent example is CBI Innovations Ltd. (CBIiL), the for-profit arm of CBINigeria, who chose SAP Rural Sourcing Management to integrate 850,000 small maize producers into the agricultural value chains. CBIiL will be combining the use of SAP Rural Sourcing Management with the model of private extension services agents they have developed: the Community LIFE Agents (LIFE stands for Livelihoods Information Field Entrepreneurs). Each LIFE agent supports 50 to 100 smallholder farmers. They are young unemployed graduates recruited from around the communities in which they will serve. They are trained by CBIiL and equipped with a dedicated Android device on which various applications specific to their missions are installed. They receive commissions on the products and services (inputs, telephone credit, banking, etc.) they sell to farmers and a premium based on the productivity growth of each farmer with whom they work. A successful, thriving, highly productive African agricultural sector is possible. The transformation of the smallholder farming sector into a high-performance producer integrated into the global food value chains will not only grow local economies, ensure a more successful agri value chain, contribute to achieve self-sufficiency and safeguard food security, but will transform the lives of the 250 million smallholder farmers and their families whose livelihoods depend on their produce.